The reclining wheelchair MVP 502 (KM-5000.2) allows the wheelchair user to lie back and relieve pressure. 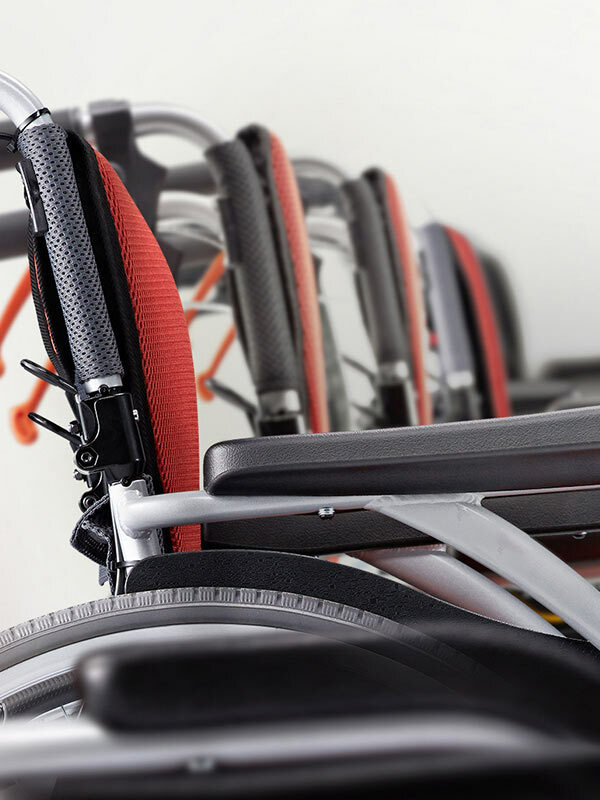 Unfortunately, sliding is a common problem with reclining wheelchairs. 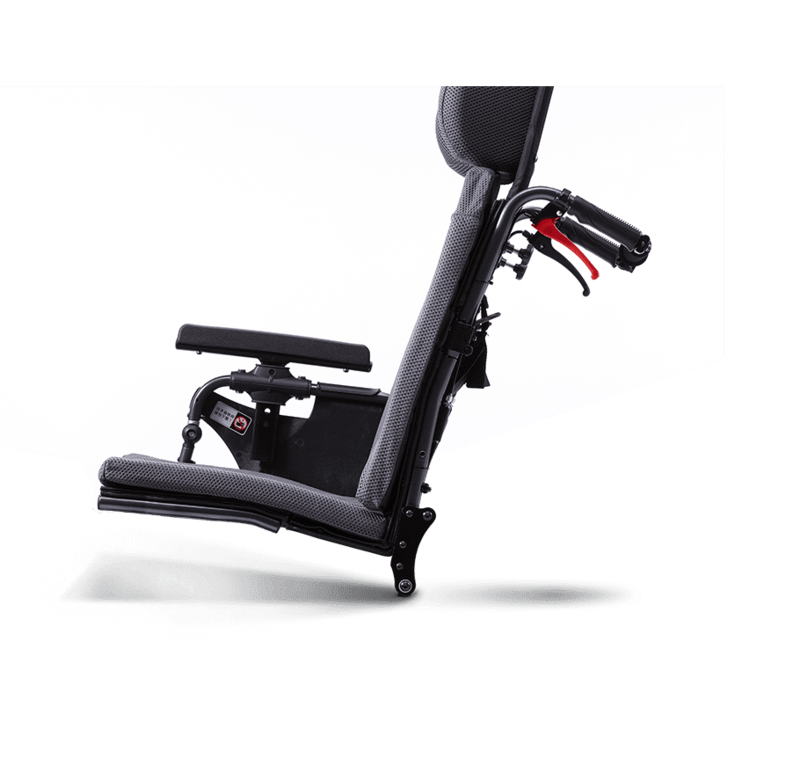 Whenever the wheelchair reclines or returns to an upright position, the user’s back slides against the back of wheelchair, creating a shearing action. 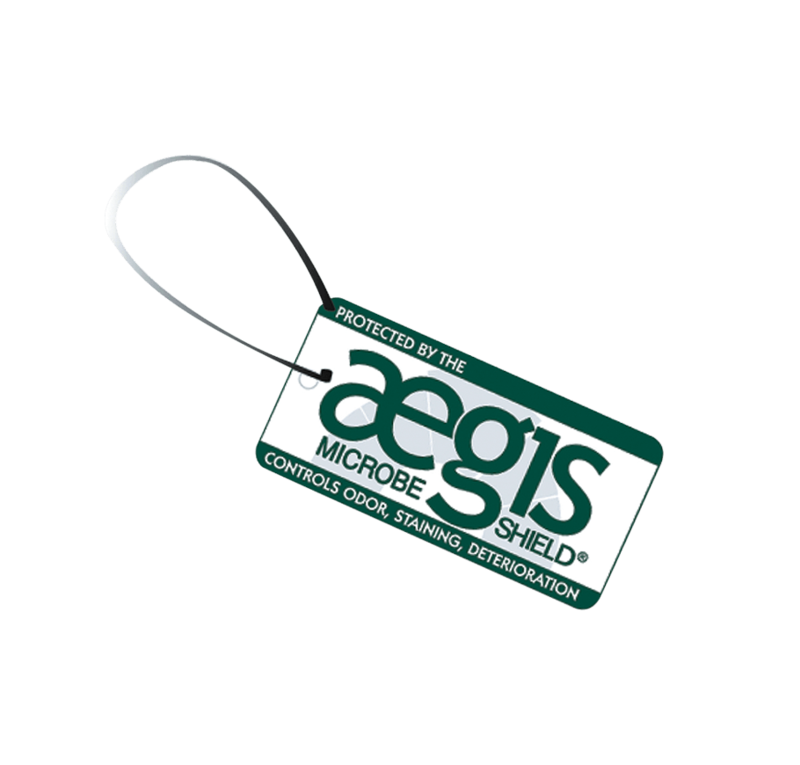 It is not only uncomfortable but may lead to skin breakdown and pressure sores. 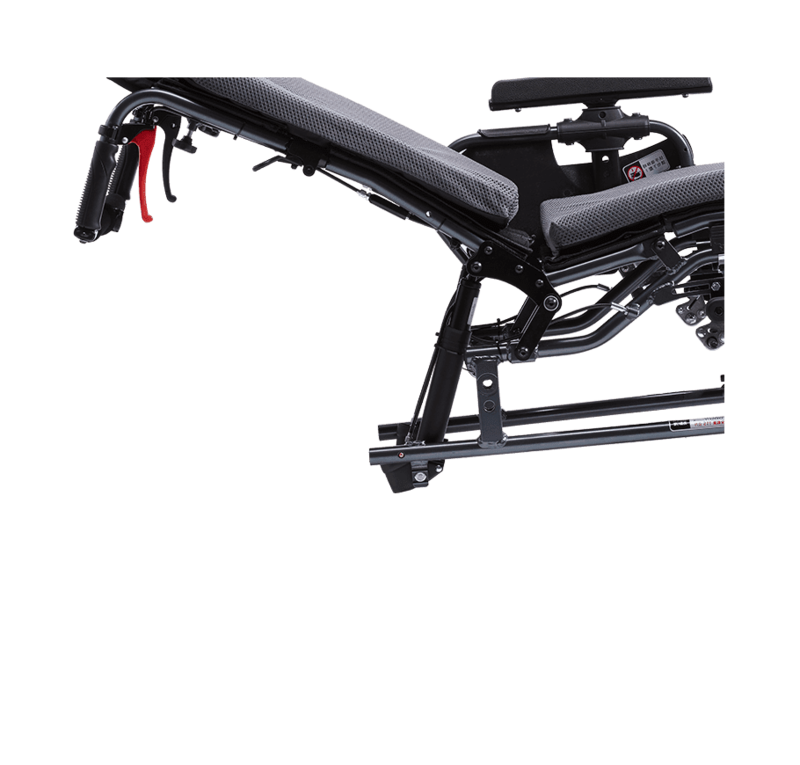 In addition to poor positioning and less stability, sliding puts the user at risk of falling off and sustaining injuries. 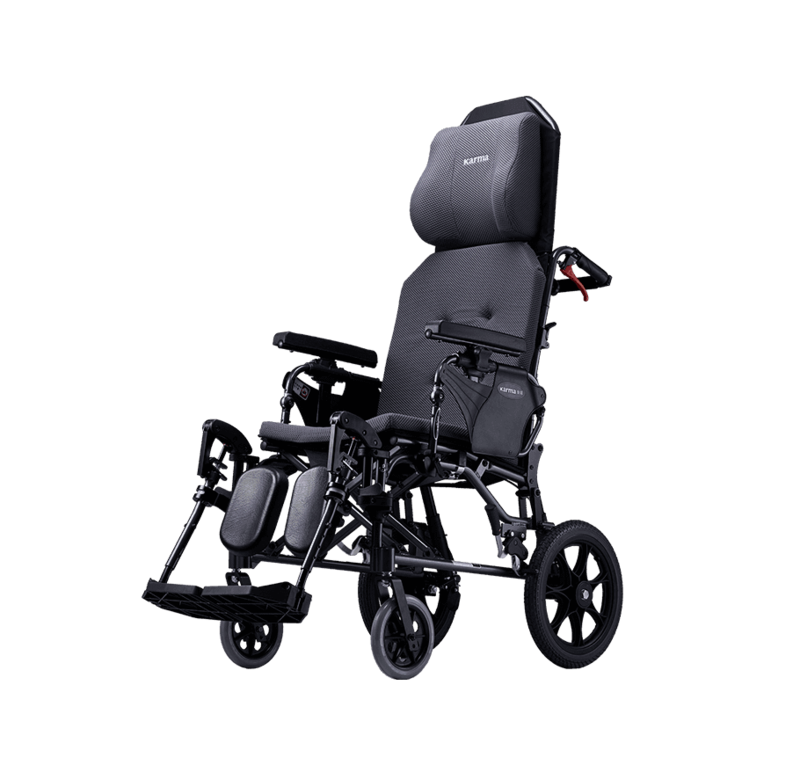 The innovative anti-sliding design of the MVP 502 effectively prevents the wheelchair user from sliding on the chair. 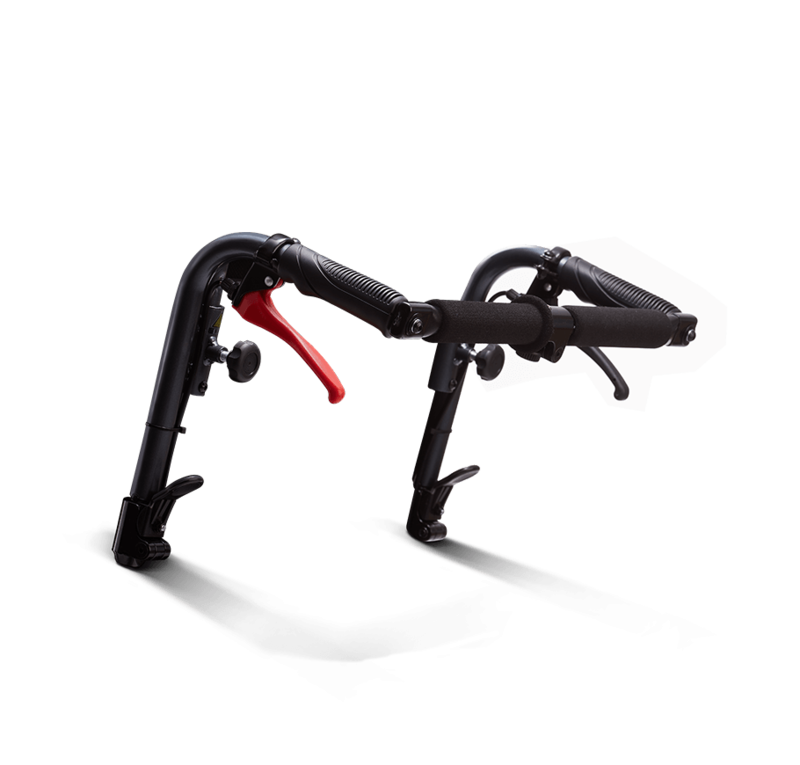 The articulating legrest extends in length as it elevates, allowing the leg to extend freely and thus easing pressure on the knee. 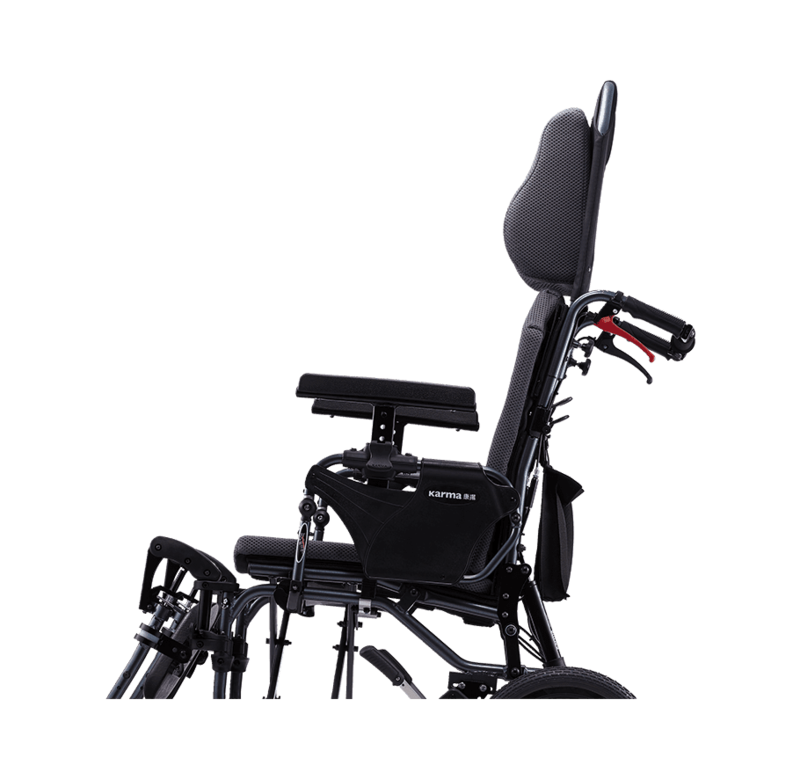 The V-shaped seat slopes downwards at a 20 degree angle near the backrest to help reduce forward sliding and pressure sores. 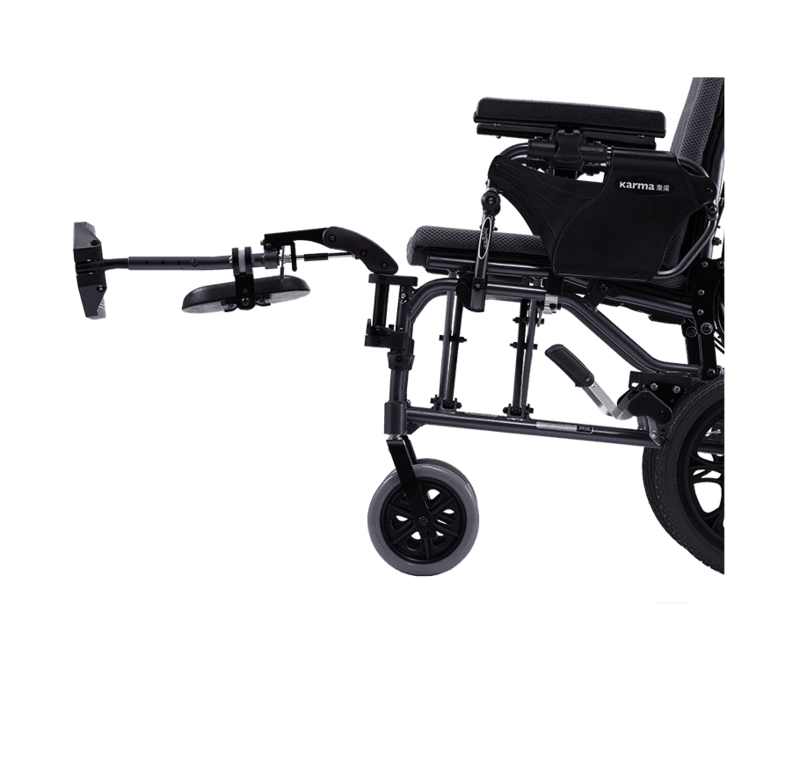 This significantly reduces shearing between the user’s back and the back of the wheelchair and the need for the attendant to reposition the user. 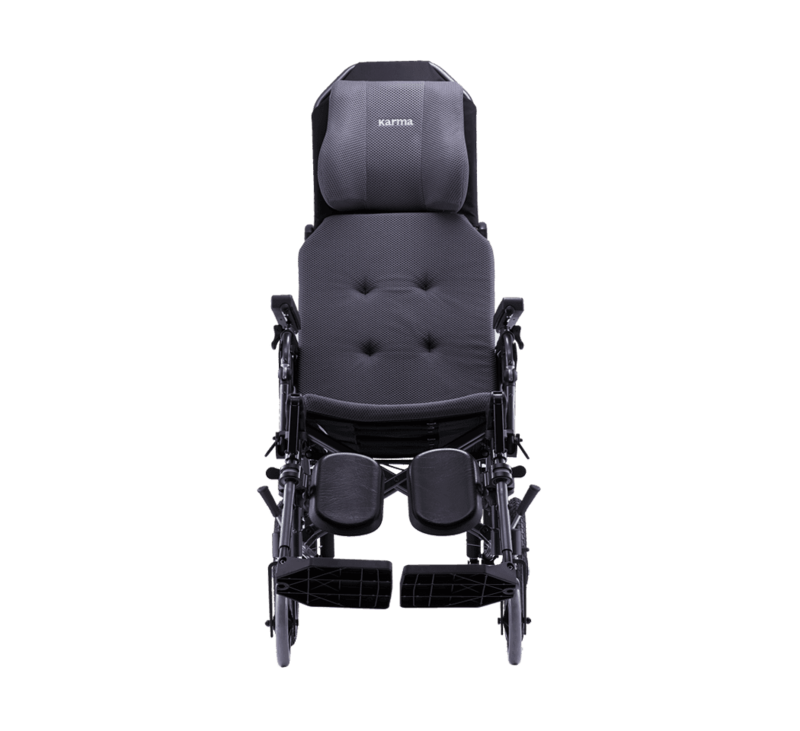 The MVP 502’s reclining system is composed of two hydraulic gas springs that provide a smooth, controlled motion. They minimize shock and stablize the reclining speed. 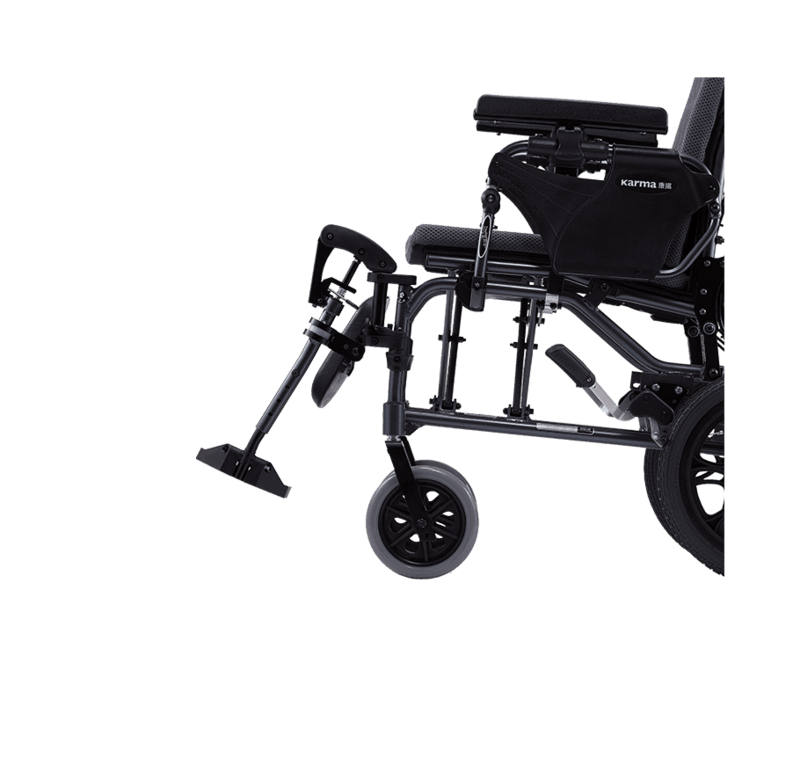 The attendant can lift the wheelchair user back to an upright position with greater efficiency. 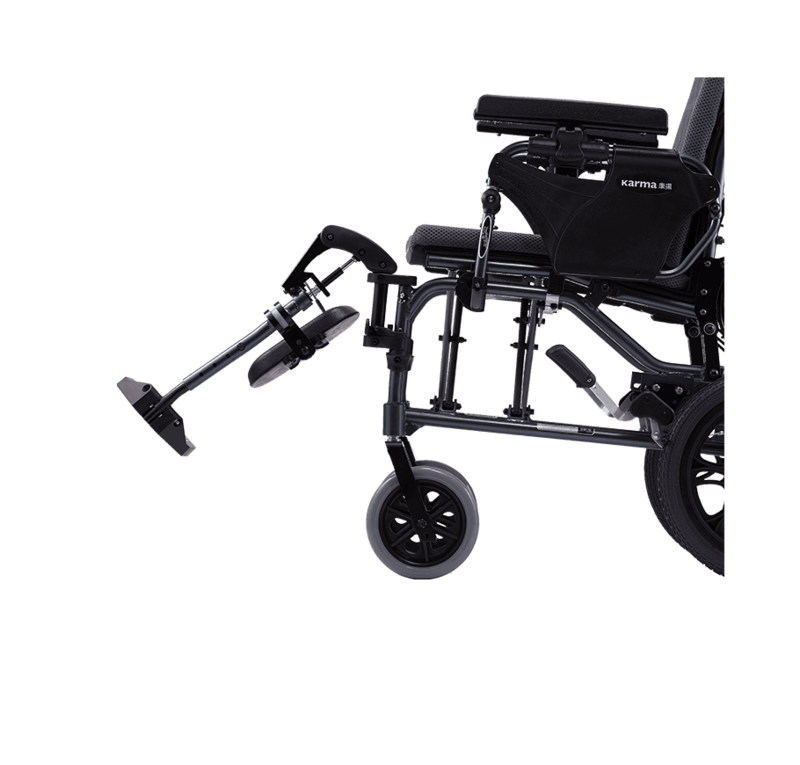 Attached to the push handles of the wheelchair, the push-bar makes it easy to push and maneuver the wheelchair with just one hand and at the same time reinforces the structure of the wheelchair. 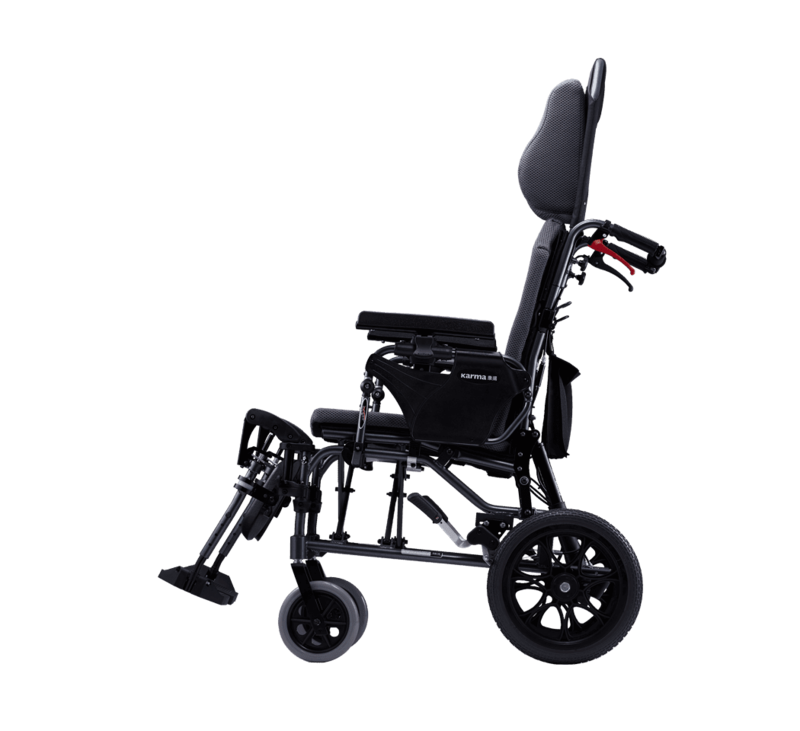 It also helps alleviate the pain and fatigue that comes from pushing a wheelchair. 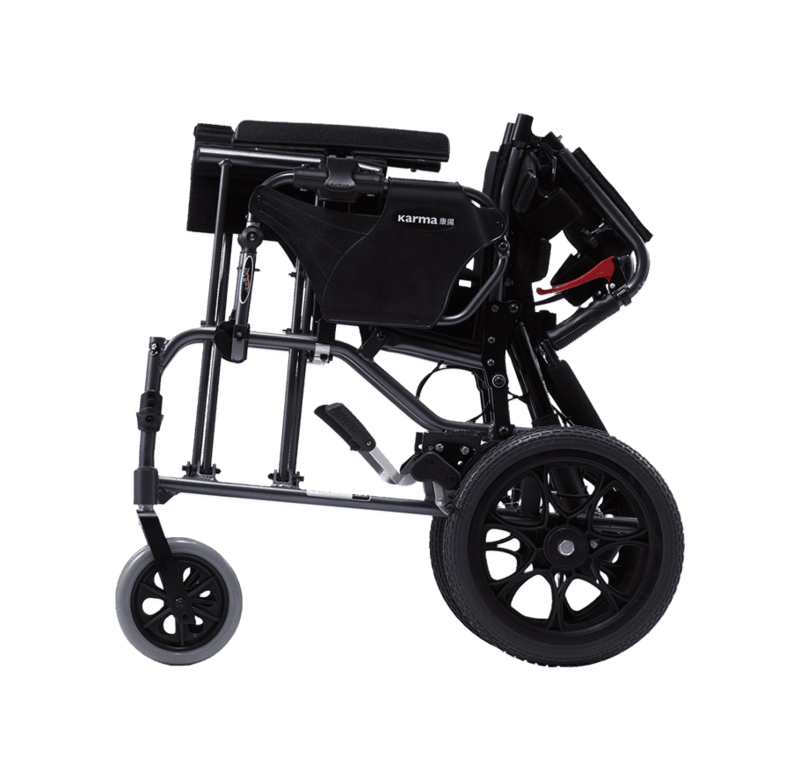 There is no need to detach because it folds with the wheelchair for easy storage and transportation. 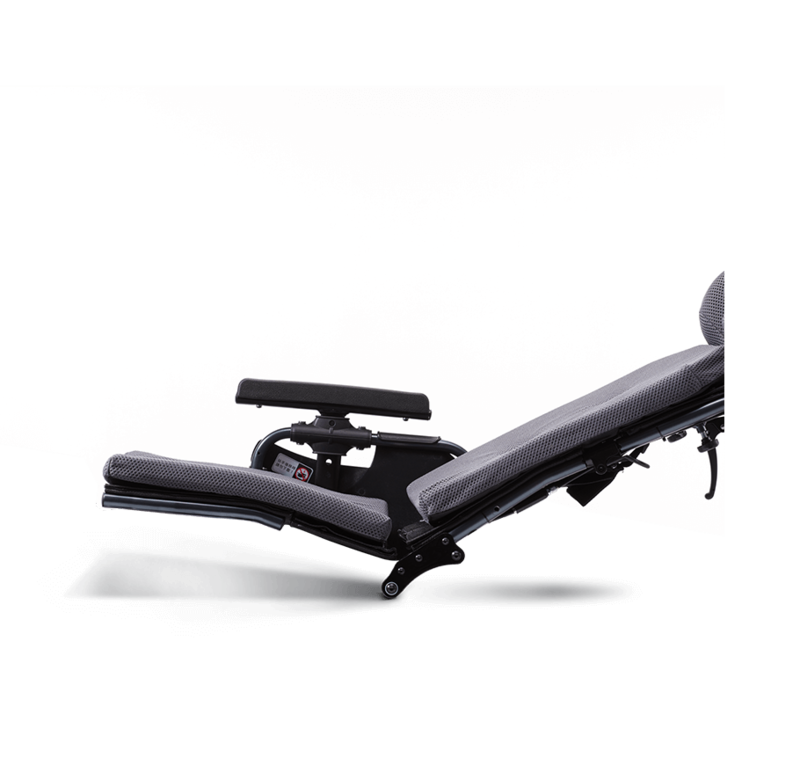 The armrest is pivotally connected to the backrest and follows the natural movement of the arm when the backrest reclines. 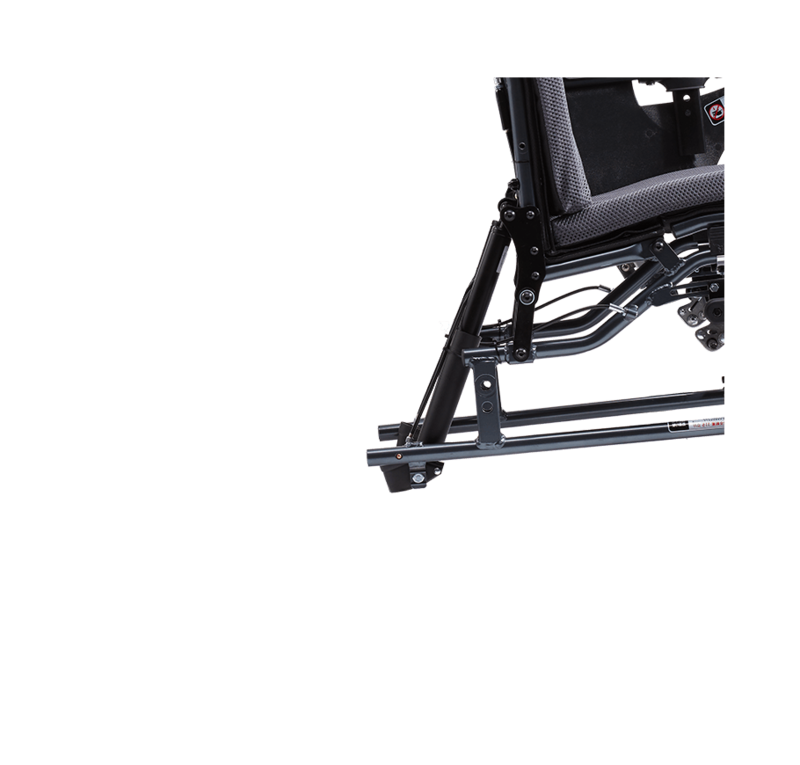 You can adjust the height of the armrest by moving it up or down until you find the ideal height. No tools required. 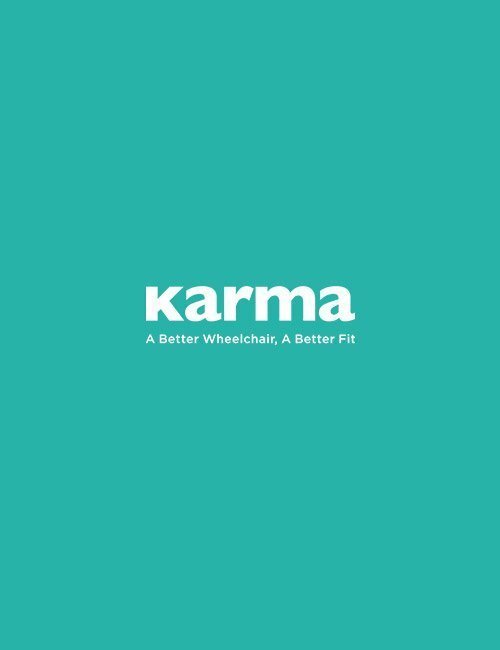 The armrest also flip-backs for easier transport, on and off the wheelchair. 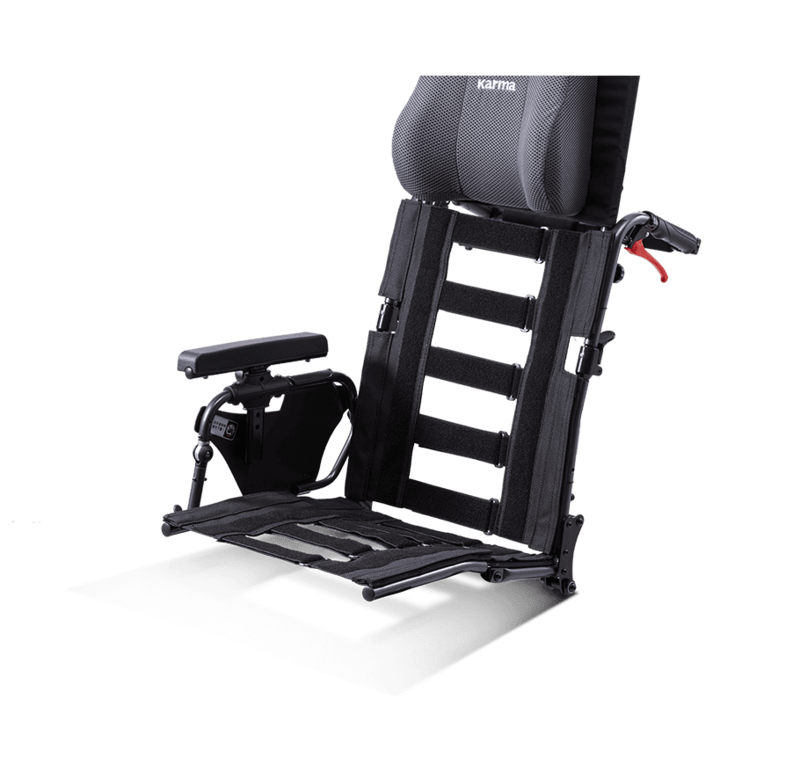 The ergonomic headrest provides perfect support from lateral sides and occipital side, relieving neck and shoulder pressure. 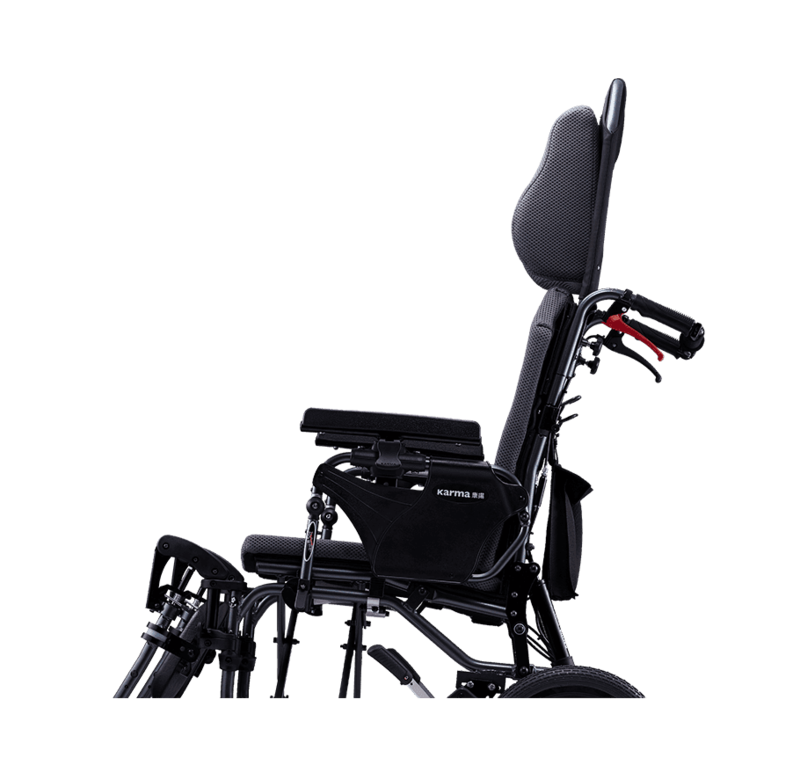 The headrest is also designed not to restrict lateral vision for the user. 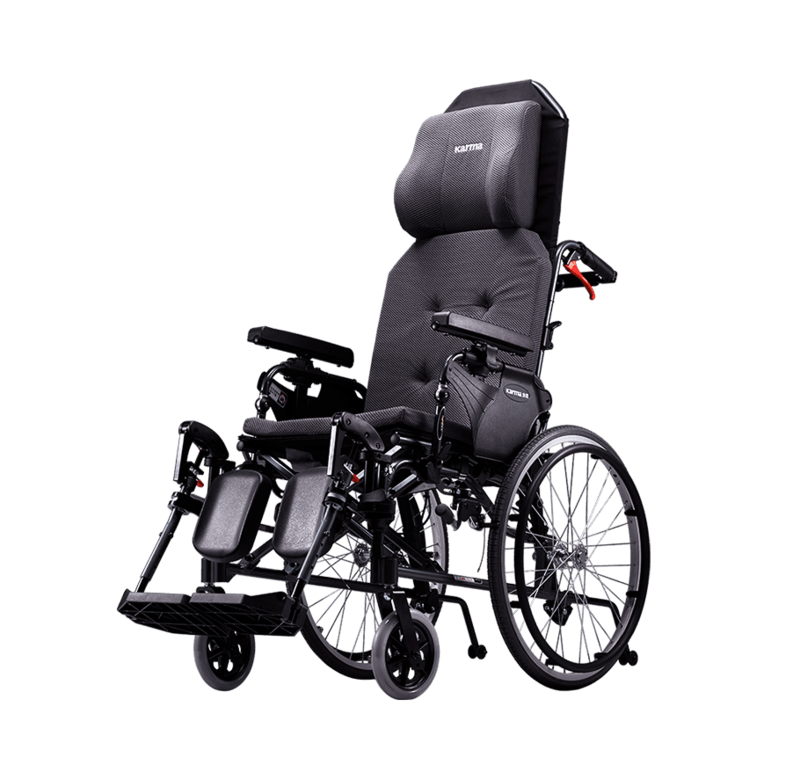 Unlike conventional wheelchairs, the backrest and seat use adjustable Velcro straps to change the tension and conform according to the wheelchair user. This helps prevent slouching and the hammock effect. 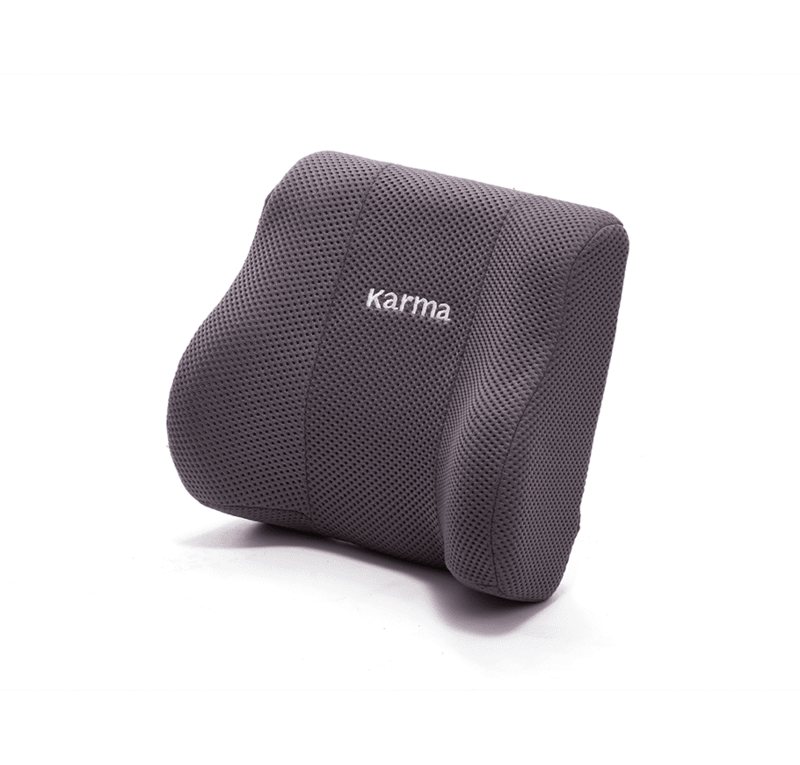 An extra thick foam cushion that is 3-cm thick, it is comfortable and detachable for easy cleaning. 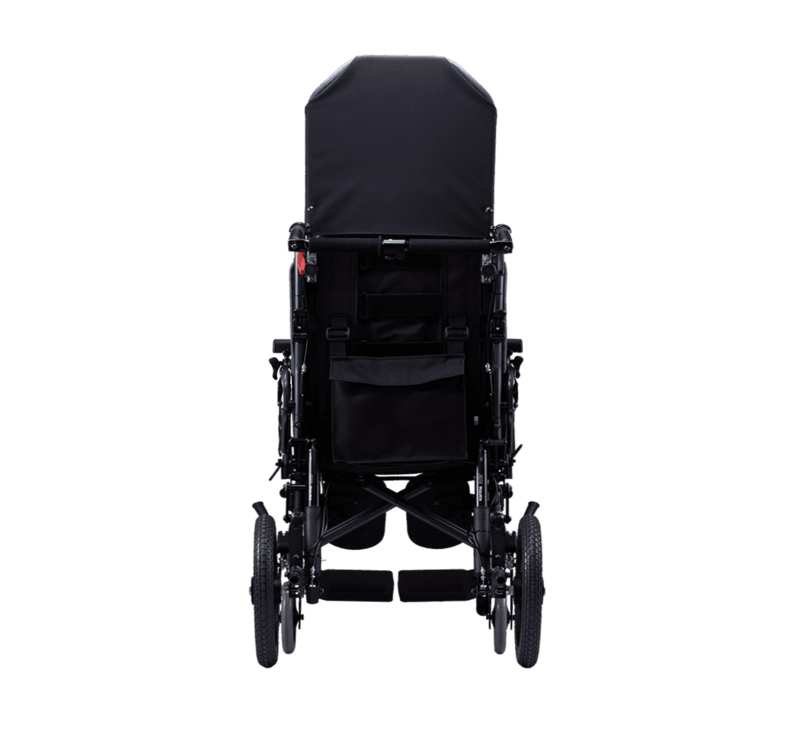 Extremely compact once folded for easy storage and transportation. 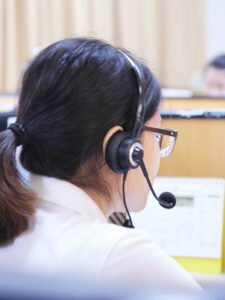 The MVP 502 is approved for transportation in accordance with ISO 7176-19. This means it is suitable to be used as a seat in a motor vehicle for transportation. 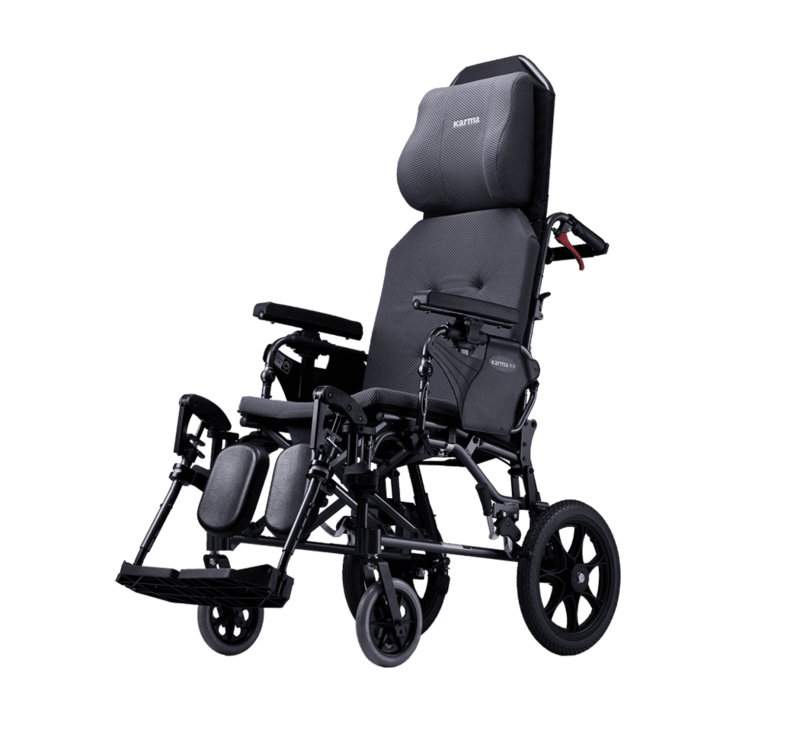 Choose between attendant-propelled wheelchair with 14″ rear wheel or self-propelled wheelchair with 22″ (fixed or quick-released) rear wheel.